Knights fans lined the stands last night for a basketball triple header, which marked the final regular-season home game for each of the teams and senior night for the varsity teams. The JV boys' and the varsity boys' teams posted wins over Franklin. Other highlights included a Knights Café featuring Cold Stone Creamery, spirit wear sales and concessions from the Booster Club, and the GSB cheerleaders. 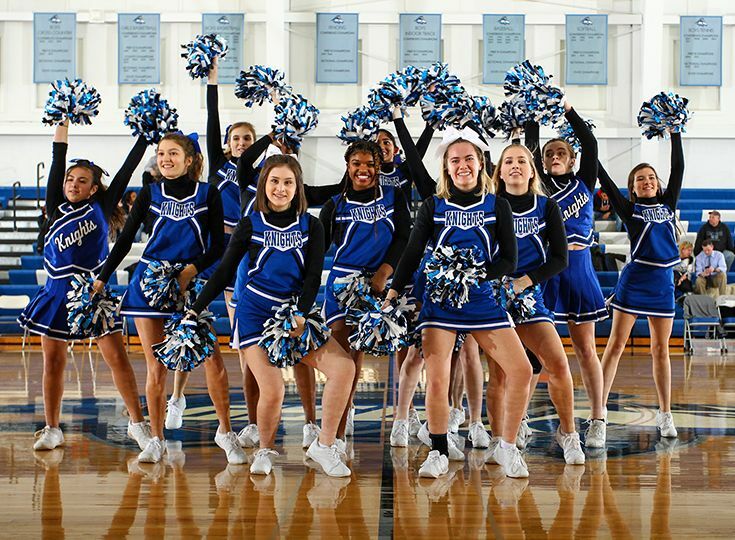 In addition, three lucky Lower School students joined in the fun on the court, performing with the cheerleaders and warming up with the varsity boys’ team. A gallery of images is now online.